If you like virtual reality or 3D experiences, then Europe’s largest VR lab is definitely where you want to be. It would be a storyteller’s or gamer’s paradise, except that the facility is designed for use with industrial models. 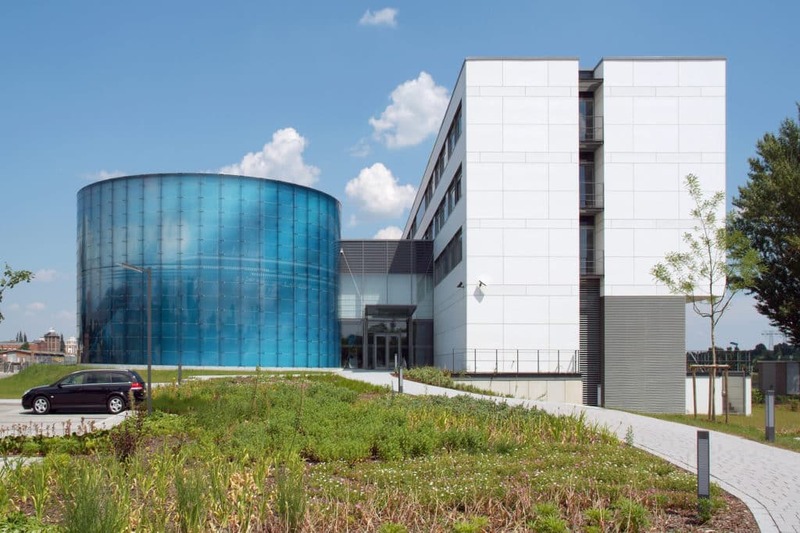 Developed by the Fraunhofer Institute for Factory Operation and Automation, Elbedome is a cylinder-shaped space located in Magdeburg, Germany. It was built in 2006 as a 3D projection sphere and recently upgraded. 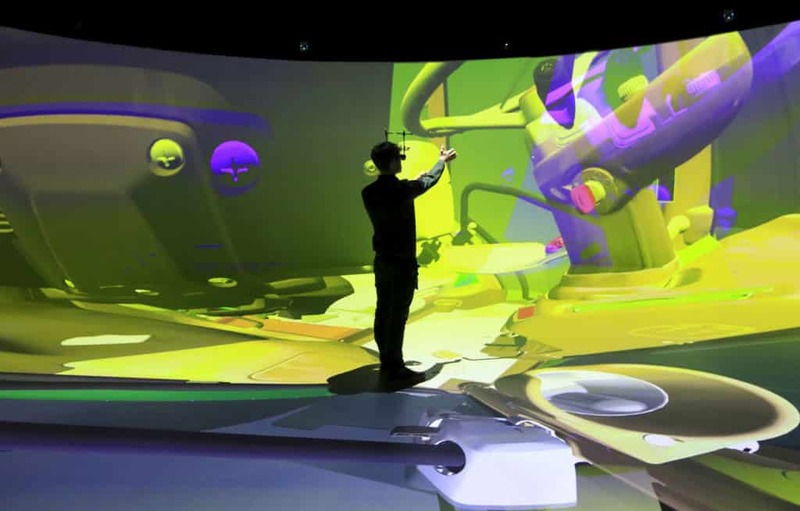 In 2018, the system was extensively modernized and expanded to create a 3D mixed-reality laboratory. Now featuring stereoscopic video technology and a combined panorama and floor projection surface of over 450 square meters in area, this facility is able to create VR scenarios in genuine 3D. As a result, users now have the feeling of being completely immersed in the virtual environment. A video won’t do this justice, but it gives you a sense of the sheer size of the space. It works out to be 16 meters in diameter and 6.5 meters high. As Business Insider notes, it’s close to the size of a doubles tennis court. As the following video (in German) reveals, you can do a lot with an expansive, immersive space. You get to do something we don’t often do in VR – physically walk around. From one perspective, space is not a significant requirement for virtual reality. When you can shrink yourself down to the size of an atom, almost any size area will do. Flying around the world in Google Earth VR requires nothing more than a place to stand or a chair. It’s part of what makes VR so compelling. On the other hand, there’s something to be said for Europe’s largest VR lab. It’s the value of being able to physically walk around actual space. To be able to walk and not think about the real world in the back of your mind. Here, bumping into walls is just not a pressing concern. Also, it helps with multi-user experiences. For Mixed Reality environments where you’re combining both the virtual and the real, space becomes a major concern. But VR is on the cusp of making its own demands for square-footage. As standalone HMDs come of age, we’ll need larger spaces. Just look at Facebook’s demo of the forthcoming Oculus Quest headset at last fall’s OC5 conference. It wasn’t just sales hype when they used the term “arena-scale” VR. Facebook may be initially positioning the Quest HMD as a gaming device. But down the road, it will become a platform for explorations of large-scale virtual environments. The Fraunhofer Institute facility raises a fascinating question. How large will our immersive facilities be in the future? Most colleges and universities have relatively small labs now as we’re still in an experimental stage. But the future could be radically different. Think of a world where the VR lab is as large as the space given over to athletics. Don’t laugh, there was a time when sports could never have imagined 80,000 seat stadiums. Why not have a VR facility in the future where students literally walk the virtual streets of Ancient Rome? Or where they develop their skills in a full-scale simulation of a healthcare facility? It all depends on our priorities and the ways we integrate VR into the learning environment. Europe’s massive VR lab is a reminder that the design of our future VR facilities is wide open.